Did you know that you can make money selling Lifeline free cell phone service?! You can actually become a Lifeline agent and earn commissions for signing people up. Depending on your skills and interests, this could be a fantastic opportunity to do as a side job, or even your main money earner depending on your situation. Many of these dealer networks that you can join tout that you can make thousands of dollars per month if you're an effective sales person! As Lifeline free cell phone agent you're essentially part of a mobile sales force. This largely involves enrolling new customers at sidewalk tents at relevant targeted locations. Think community events, churches, shelters, flea markets, and a myriad of government locations. You'll engage with prospective customers, educate them about the program, and attempt to sign them up. If they qualify, you get a commission; it really is as simple as that! Assuming you're selling in a location with a lot of foot traffic, it really should be relatively painless considering that you're not really "selling" anything per se. You're enlisting people to get something for free! If you're a people person who enjoys interacting with people in this way, becoming a Lifeline free cell phone agent could be a great opportunity to earn money. 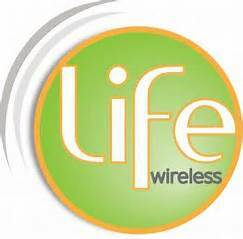 How Do I Get Started Selling Lifeline Free Cell Phone Service? So you've decided that this might be something you can tackle, whether as a part time or full time job, and want to know next steps. Different providers have different sales strategies. While some will work with you directly, and essentially manage a direct sales force, others require you to go through an approved distributor. You'll find job postings listed directly on their website, or in classified ads like craigslist.org. I recommend doing a search in your area for "lifeline". If you search for "free cell phone" or something similar, you're likely going to get a lot of junk hits trying to sell you a phone. Any worthy agent will use the keyword term "lifeline" to recruit. That said, if you don't get any hits, you can try search terms like "free government phone", "cell phone tent rep", etc. What Companies Hire Lifeline Sales Reps? A lot of the work involves the time it takes to actually find which companies have this type of sales force. To save you this time, I've compiled a list of providers (in alphabetical order) that have sign up pages on their corporate website. You'll want to verify which ones provide service in your area, and note any specific requirements they might have. Do they require any specific experience? Do they expect you to already have relationships with stores, and are looking for distributors rather than individual sales reps? Click on a company name to go directly to their agent page. I'll continue to update this table as I learn more, so please check back often, or Contact Me should you come across one that is missing from this list. You can also head over to Lifeline Phone Service to learn about the program and qualifcation criteria. State that they offer 4G Android smartphones on the spot for applicants who qualify. State that you need to pass a background & criminal check. Have positions for field representatives, and master distribution partners in defined states. Have different levels of agents, including varying types of kiosks. Looking for agents who are business owners. State they offer super competitive commissions. Looking for agents in defined states. May have changed their name to Cell Span, Inc. Both old & new websites are down. Wil update when their issue is resolved!